Native Lands: The West of the American Indian 1984-1999. Powwow: Native American Celebration 1984-1999. 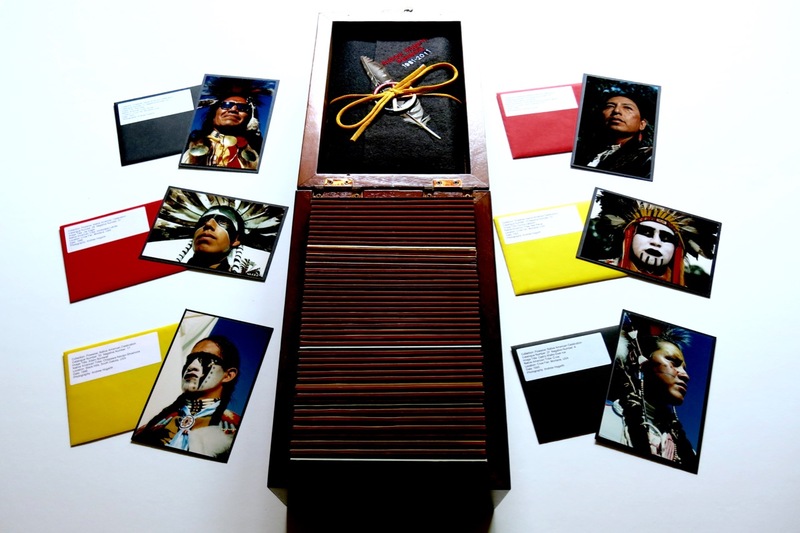 120 Native Lands & Powwow 35mm negatives with 6×4 inch colour photographic prints. The prints are signed and mounted on acid free board. Native Lands and Powwow Limited Edition Four Colour Litho Catalogues supplement the archived collections. Great Plains: The American West 1981-2011. 855 Great Plains 35mm negatives with 6×4 inch colour photographic prints. The three negative collections are also scanned as 20MB raw digital files and are also colour retouched and have modified files. Stories relating to all the photographs created by Andrew Hogarth are preserved on digital files. And the files are housed in embroidered cloth envelopes. This extensive photographic collection involved 200,000 miles of on-road driving from the period 1981-2013. 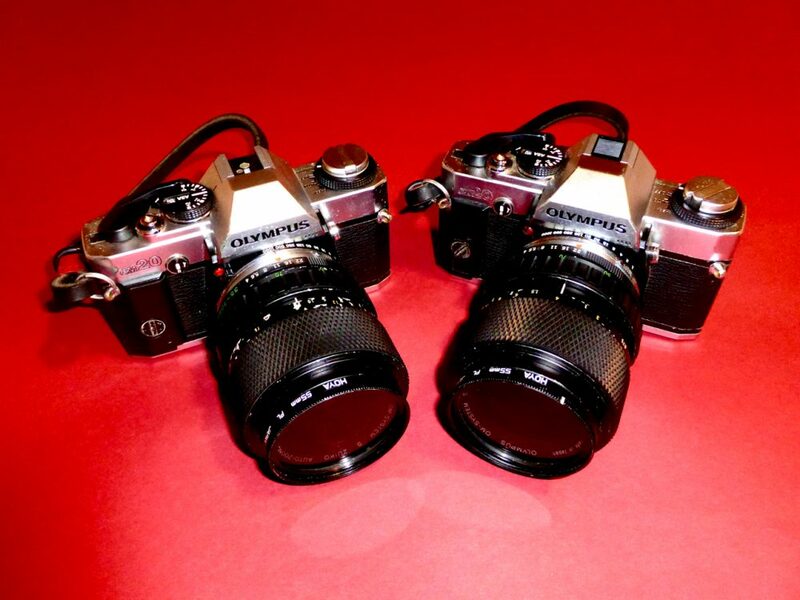 Two 1984 Olympus OM 20’s. Lens: Zuiko Auto Zoom 35mm-70mm. Both cameras are engraved with the artist/photographers name. All negatives housed in the collections were composed from inside the lens and shot in natural light. There has been no cropping of the images. The 55 matted 24 x 20 inch prints from the 2000-2003 National Tour by Exhibits USA are housed with the collection. 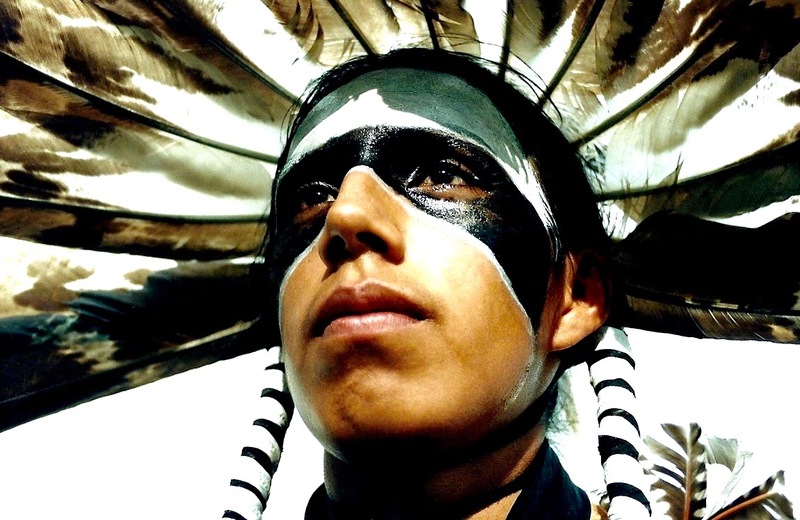 Native America: Dinetah to the Greasy Grass Portfolio. 335 images catalogued and titles. 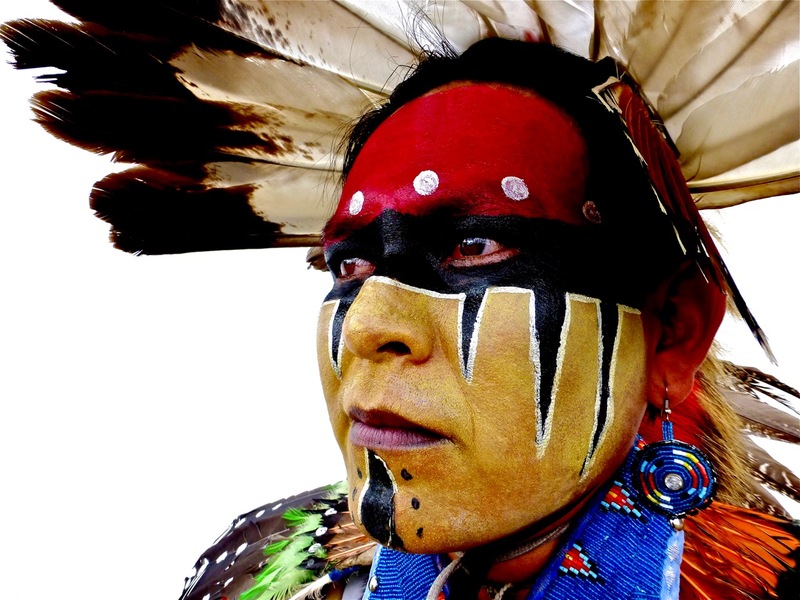 Over a thirty-two year period from 1981-2013 I have met and photographed 209 Native Americans in portraiture imagery. 31 nations are represented in the four photographic collections Native Lands: The West of the American Indian 1984-1999 (Film), Powwow; Native American Celebration 1984-1999 (Film), Great Plains: The American West 1981-2011 (Film) and Native America: Dinetah to the Greasy Grass 2008-2013. (Digital). I have preserved 975 film images in the three collections and in 2013 I scanned 20MB raw digital files of the film images. I have also preserved 335 digital images in the Native America: Dinetah to the Greasy Grass photographic collection. The 1,310 original and modified images are archived on USB Flash Drives for the film and discs for the digital imagery. Many of the Native American images listed have series of images in the collections ranging from three images in each catalogued file and upwards to seven images in each catalogued file. The collections also include series of images from 70 historical sites across the Northern and Southern Great Plains region from 1981-2013. 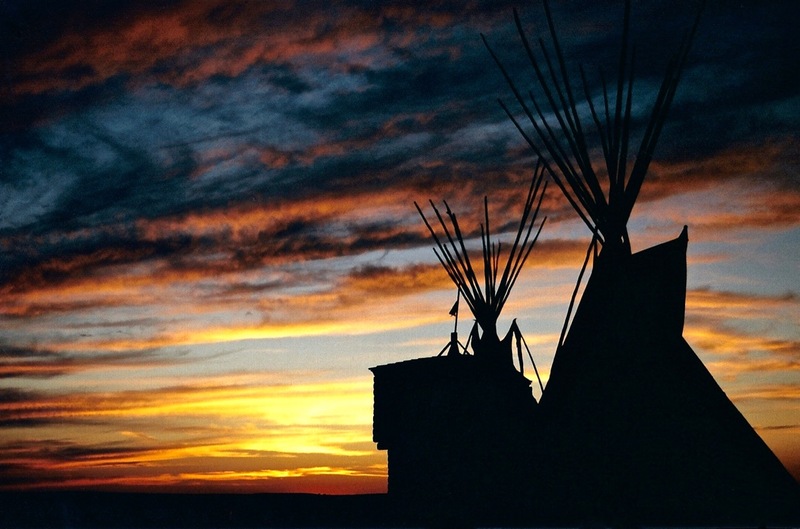 Included are images of the Little Bighorn Battlefield, Fort Phil Kearny, Fetterman Battlefield, Wagon Box Fight, Blue Water Creek Battlefield, Fort Keogh, Lightning Creek Fight, Old Trail Town, Deer Medicine Rocks, Sitting Bull’s Gravesites, Whitestone Hill, Fort Laramie, Bordeaux Trading Post, Mandan Indian Village, Grattan Massacre Site, Fort Bridger, Sand Creek Massacre Site, Fort Garland, Wounded Knee, The Stronghold, Buffalo Bill’s Gravesite, Bear Butte Mountain, Crazy Horse Memorial, Custer County Museum, Rosebud Battlefield, Fort Robinson, Reynolds-Two Moons Powder River Battlefield, Pompey’s Pillar, Mount Rusmore, Big Hole Battlefield, Yellowstone River Fight, Fort Reno, Darlington Agency, Washita River Battlefield, Sappa Creek Massacre Site, Cheyenne Dog Soldier Encampment Cherry Creek, Beechers Island Battlefield, Summit Springs Battlefield, Devils Tower, Alcatraz Prison, Las Trampas, Chaco Canyon, Monument Valley, Acoma Peublo, Canyon de Chelly, Twin Rocks, Hubbell Trading Post, Pecos Pueblo, Fort Union, Hovenweep, Zuni Peublo, Bandelier, Mesa Verde and Taos Pueblo. Native Lands: The West of the American Indian 1984-1999. (Film). 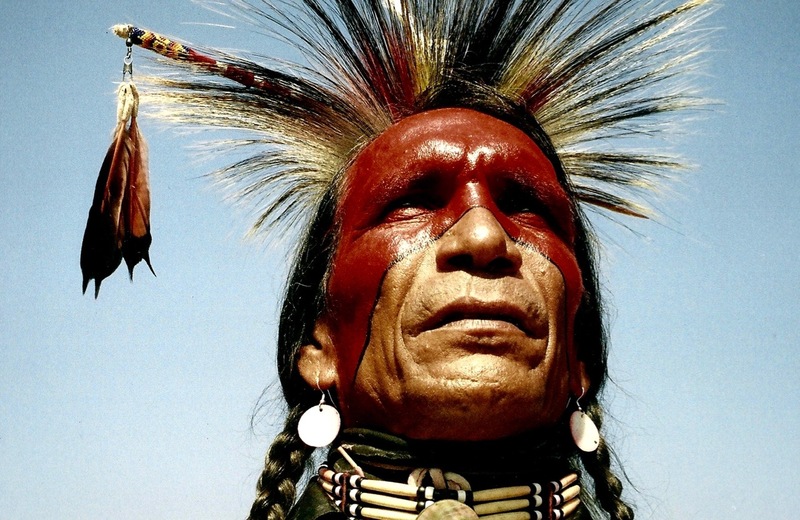 Powwow: Native American Celebration 1984-1999. (Film). 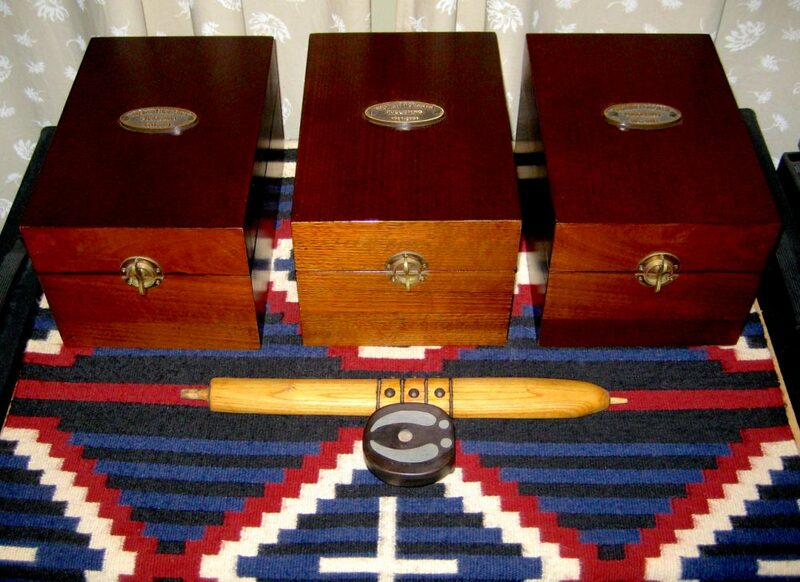 Native America: Dinetah to the Greasy Grass 2008-2013. (Digital). 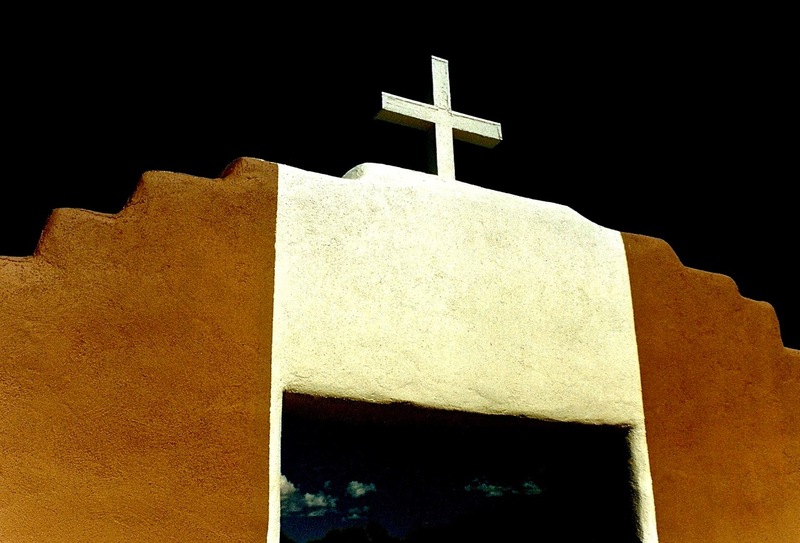 Erin Gustine, Navajo, Gallup, New Mexico, 2013. Grace Ponyah, Oglala-Lakota-Navajo-Hopi, Plains Indian Museum Powwow, Cody, Wyoming, 2011. Great Plains: The American West 1981-2011. (Film).